There’s a new DC Animated Series on the way… and this one’s all about the action. 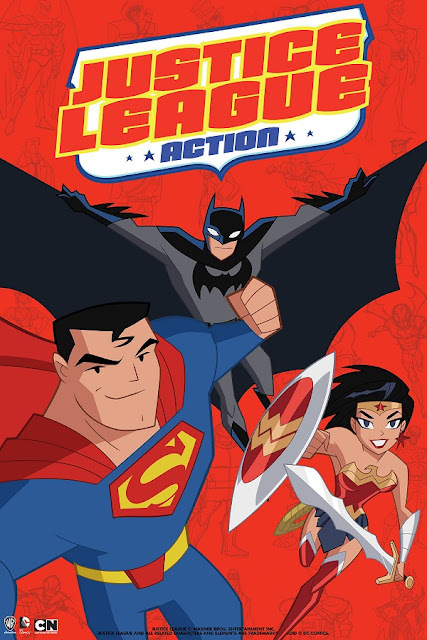 Justice League Action is a brand new, quarter-hour series from Warner Bros. Animation that will be coming soon to Cartoon Network. Featuring the return of Kevin Conroy as Batman, the Dark Knight will join with Superman and Wonder Woman and the rest of DC’s iconic team of heroes in a series that promises to put the action back in heroics. Whether defending the Earth, facing invaders from space, or battling the bizarre forces of magic, the always-rotating team of Justice League heroes, are up to any challenge. Episodes will be eleven minutes in length, meaning that the action will be tightly-paced and exciting. And awesome! Justice League Action will join the popular Teen Titans Go! as the second ongoing DC Animated Series on Cartoon Network. No word yet on when it will be debuting, so be sure to follow DC Comics on Twitter for the premiere date as well as further news on Justice League Action as soon as its announced. So what do you think? Ready for another dose of animated action? Share your thoughts and which heroes and villains you’re hoping to see below!